This morning, before coming into work, I sat and read Doug Belshaw’s post about what he does to work more productively. Increasing my own productivity is a constant endeavor, and Doug’s post gave me an opportunity to reflect on my current practices and how well they are working for me. I should point out at this stage that I am an almost obsessive planner – I write up monthly to-do lists and then plan my workload week by week. I’m aware that not everyone needs to work this way – but my brain needs this level of structure to cope. As I’ve already mentioned, I’m an extreme planner. But even if you’re not, it can still be very useful to externalise your to-do list. I personally find that if I’m thinking about lots of things at once, I struggle to concentrate on any individual task. But by writing things down – even a simple to do list for the day – my brain knows that I haven’t forgotten, that I am planning to tackle it, and so gives me the mental space to get other tasks finished. Doug mentioned this one too, and I definitely agree, but for slightly different reasons. Despite my very organised approach to work I’m still terrible for procrastinating and getting distracted. 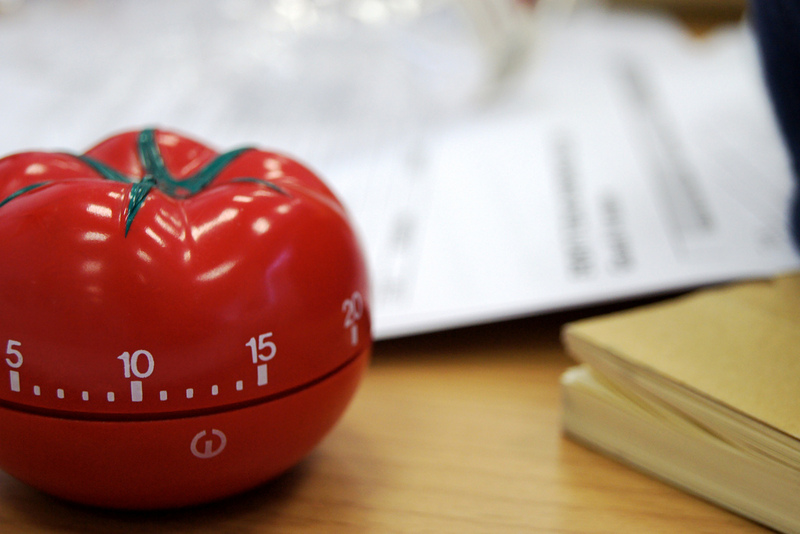 I was recently introduced to the Pomodoro technique – working in 25 minute bursts with 5 minute breaks (and longer breaks after a certain number of pomodoros). There are a plethora of free apps available to support this and I’ve found it very handy when I have a particularly busy day. Knowing that I’ll have 5 minutes to faff in between tasks seems to encourage me to stay concentrated for the 25 minutes. I don’t use it every day – it isn’t always necessary – but when I really need to concentrate its a handy technique. Unsurprisingly, I work at my best when I’m feeling good. If I’ve spent my entire evening working and stressing about work, odds are I won’t be on top form the next day. I love to cook, bake, dance, read, sew, see my friends and when I make time to indulge in what makes me happy my work sees the benefit too. All work and no fun… and all that! As I mentioned at the beginning of this post – I’m always working to improve my productivity – so it was interesting to reflect on what I currently do. The way I ‘fine detail’ plan my time changes quite a bit depending upon my workload but I think these three points are relevant regardless. I’d love to hear what you do to work more productively – so why not comment and let me know!